We are Importer & Distributor of Polyurethane Metering Systems which are consistent dispensing to multiple applications simultaneously. Flow & Pressure control is maintained for individual or multiple applications for consistent delivery in intermittent and continuous applications. 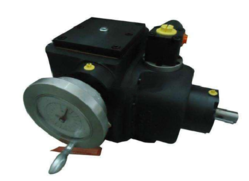 We are Importer & Distributor of Polyurethane Meter Pumps. Technomak offers wide range of metering & dosing pumps in process technology plants of Polyurethane industry. Many well known polyurethane process plant manufacturer and polyurethane process plants are our customers. We provides innovative and efficient special solutions for new process technology plants as well as existing process technology plants due to modernization, extension and reconstruction. Looking for Polyurethane Metering System ?